We are the topmost Removalists Dingley Village who render quality services to the residents of Dingley village. If you are in search of the well-established Furniture Removals company yet a flexible Moving company then Singh Movers Melbourne is the best choice for you to hire for the FURNITURE REMOVALISTS DINGLEY VILLAGE. We have a backend customer care executive team along with a team of professionals in the field of different types of removal service. We will provide you with quality work. Our Friendly Moving Men will help you in the Interstate Removalists as well. You do not need to worry and just relax with your family members as once you hire us, we will do all sort of work by ourselves itself. Many do not call the experts as everybody thinks that there are way too formalities before the process of packing and shifting start. But with Singh Movers, you can hire us by just giving us a buzz as there is just a free quote provided by us to the client who is short and not too long that takes much time. That quote itself has almost all the details along with the pricing listed for each and every service. We have noticed many times that many customers do not even call for help in shifting for a small move. They ask their relatives for the shifting process but this might cause damage to the goods or to the person also. Most of the persons can handle some boxes but if it is room to be packed then you require a company which provide you with the instant service after your single call itself. 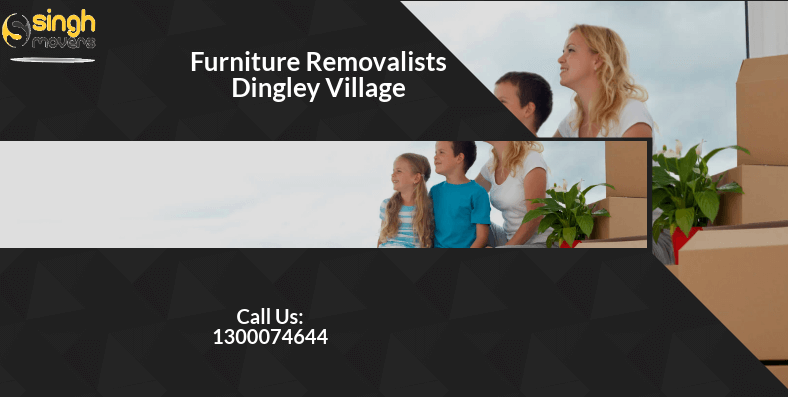 SINGH MOVERS is the perfect stop for your FURNITURE REMOVALISTS DINGLEY VILLAGE service. Hire professional MINI MOVERS at the company SINGH MOVERS. We are known as the best Removalists Melbourne who offers their customers with the fit team who are the Friendly Moving Men. Our moving services do not charge you much but endow you with the Budget Packages which won’t disturb your pocket in any means. Our services cost in a way so that customer of any type or status can hire us easily. Our local and short distance removal services are also available all over the Melbourne including the suburb. Singh Movers will help you in all types of your moves with the reasonable packages including the professional and experienced packers and unpackers members who are hired on just your one call. So, hire SINGH Movers Melbourne with just one call, a mail or book an assignation online with our live chat support. SINGH MOVERS is always believed for their quality service at budget-friendly prices. We render our customers with all the facilities at the minimum price possible. Charging low doesn’t mean our work quality is not good. It is only our company’s motto to endow their customers with all the services at low-cost so that the prices won’t lay heavy on any type of customer’s pocket. This is a major doubt in every customer’s mind as many other service providers promise to shift the stuff on time but do not do so. But why Singh Movers? Because Singh Movers is punctual with their timings and never disappoints their customers. Our timely and swift delivery will always put a smile on your face. We offer our customers with one more important facility that is a STORAGE FACILITY at Singh Movers. So, if at times you do not want to shift all of your stuff to your house, office or industry, we have ample space for your belongings to be stored under CCTV SURVEILLANCE round the clock. So, be free if you hire SINGH MOVERS. How Do Singh Movers - Furniture Movers Dingley Village Make The Move Stress Free? SINGH MOVERS interstate shifting is openly provided to each and every customer. We remove each and every material with optimum ease. SINGH MOVERS will eventually make this interstate move for their customers a stress-free interstate removal followed by a proper process that includes the details of everything- from the date of start, packaging, delivery timings, relocating etc. No matter if you are having a move to a nearby state we will assist you in every possible thing. SINGH MOVERS DO IT ALL BY THEMSELVES! SINGH MOVERS have the expertise, professional experience of more than 10 years in this particular field, a strong and fit back end team to vindicate you in this INTERSTATE REMOVALISTS process. We know you are shifting to a new place and hence provide you with STORAGE FACILITY in every package that we have with us. We are also flexible with our customers in making a personalized package of INTERSTATE FURNITURE SHIFTING for them. We provide our clients with storage facilities starting from a couple of days to the date they want to keep the material with us. As earlier told, we are not one of those companies charging too much for every service but we charge accordingly so that it won’t let heavy on any client’s pocket. Dingley village is a suburb in Melbourne, Victoria, Australia, which is 22 km south-east of the Melbourne’s business district. Its local government area is the City of Kingston. According to the census of 2016, Dingley village had a population of 10,320. Dingley was the original name before changing the name of Dingle village in 1991In 1856, Thomas Attenborough named after his house Dingley Grange after Dingle Hall, which is present in England's Dingley. An agricultural community developed, which was relatively remote from Bayside or Gippsland railway lines, went to market gardens and poultry for the supply of metropolitan markets. Apart from Christ Church (1873) at the corner of the centre and Old Dandenong Road, there was no recognizable centre in the area of its attractive architecture and bell tower. The post office opened on July 21, 1913.Dingley primary schools were established in the 1925 year. Dingley is well serviced by public transport. If you are in the dilemma to choose between whom to choose then because of our above listed all services, hire us without thinking much as we do not disappoint our customers at any point.